Your Position： Home>News & Events>HBNU News>What Are The Job Opportunities In China Or My Country After Studying MBBS? The influx of foreign nationals in china has inflated since the year 2000 and created the demand for private and foreign hospitals due to the fact that most of these foreigners do not have good grasp of the Chinese language. This has established new job opportunities for most international students who graduate from theMBBS program in China's Medical Universities. With a minimum pay of 10000 USD. One has to just pass the Chinese Medical Board licensing exams. Another best option is to go back to ones’ country and become a licensed medical doctor.MBBS graduatesfrom China are in high demand in their various countries due to bring bilingual. This has inflated their rate of employment in most private sector hospitals of multinational companies with big earnings. Also MBBS graduates from China have high opportunities to work in Clinical Research firms and organizations with partnership in China. Some even end up being working with ‘Doctors Without Borders’. 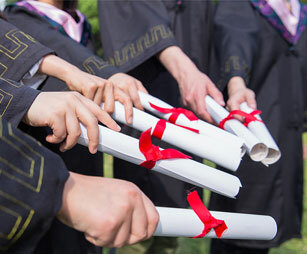 Graduation from a Chinese medical university has many advantages and future job opportunities with higher paying jobs than their counterparts who graduate in their home country.